First, let’s talk about the circumstances in which the diagnosis ADHD came into existence. Some ADHD advocates argue that this mental disease follows in the wake of the descriptions of the French psychiatrist Bourneville, of Henri Wallon’s “turbulent child”, Abramson’s instability or hyperkinesia; the Americans think it derives directly from The Story of Fidgety Philip, whose agitation was making his parents crazy in the eponymous poem written by Heinrich Hoffman for his son Carl Philip. His words show the decisive impact which the chemical substance had on the disorder. It is true that the groundwork had already been laid before the war by Bradley and later by the unproven hypothesis of brain damage as being at the origin of hyperkinetic disorder (“minimal brain dysfunction or damage”) and presumably amenable to pharmacological treatment. Alan Schwartz even describes a scene where the representative of a pharmaceutical company bribes psychiatrists to agree to a clinical trial they are reluctant to carry out. We could object by saying that there is nothing wrong with this and that this is simply how research in psychiatry works, and also that it is not the first time that nosography has been modified by pharmacology. I agree, but that is not the point. In itself, pharmaco-induction is not particularly shocking; we have seen it, for example, in the transformation of the anxiety disorder into two distinct categories, which respond to either anti-depressants (panic disorders) or anxiolytics (GAD). However, in the case of ADHD, we are speaking about a psychostimulant, a type of amphetamine, i.e. a drug, that is being administered to children. When a mental disorder is induced by a “drug”, there is an interest in diagnosing it to fuel the consumption of this drug, to create a false epidemic — and that is what happened very quickly in the United States, including over-diagnosis and over-prescription, with methylphenidate becoming a kind of academic doping, the “opium of the school people”. We have already seen this phenomenon of a pharmaco-induced epidemics through anti-depressants with the individualisation of the major depressive disorder, a disorder which results from superficial clinical work with no reference to psychic structures of the psychic organisation of a human subject. Major depressive disorder has in fact encapsulated ordinary sadness and grief. We have moved from psychiatric medication to comfort medication, in the service of the so-called “mental health”. While the ADHD epidemics was already written, so to say, on its birth certificate, the prevalence of hyperkinesia had been quite stable, because, akin to some other mental disorders, it resembled a coherent semiological entity without being a syndrome. Most importantly, it was clearly differentiated from the norm, which is not at all the case with ADHD. It is true that based on this pharmacological induction, there have also been other reasons why ADHD has become a genuine social fact, because we know that the field of mental health and its psychiatric treatment increasingly depends on the social construction of the recognition of a set of behaviours, especially among children, as pathological and requiring medical help. Several actors intervene in this process: schools, the parents, user groups, governmental agencies and so on. ADHD is an all-encompassing diagnosis, which has many confounding factors: it can be given to epileptic children, traumatised children, children who have trouble sleeping, immature children, highly gifted children, psychotic children, autists, children with learning difficulties (dyslexia, dysgraphia, etc. ), children with sensorial disorders, children showing obsessional and anxiety symptoms, Tourette’s syndrome, schizophrenia, mood disorders and so on… and even children without any problems, but who are undergoing a period of temporary or reactional difficulties. The “medical” validity of this disorder is close to zero. These confounding factors are very well described in Richard Saul’s book ADHD Does Not Exist. 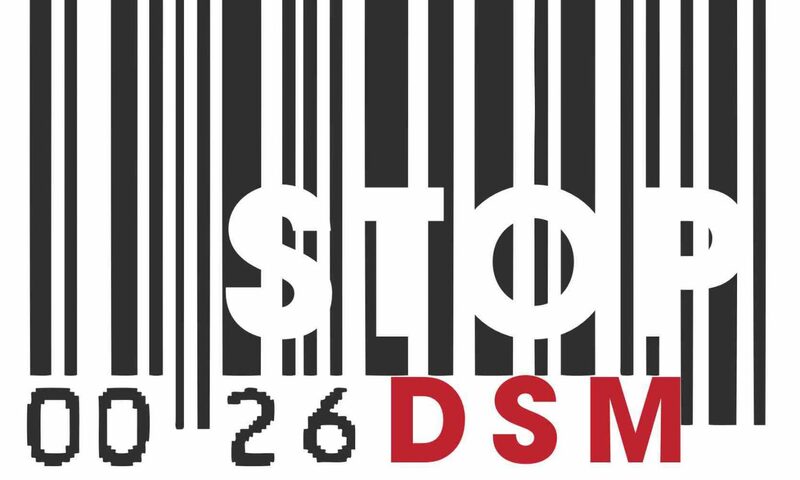 No other disorder listed in DSM 5 contains so many confounding factors. These conclusions can have important consequences for the development of certain children, who do not receive adequate care or medication: I am specifically thinking of psychotic or autistic children, whose undiagnosed condition sometimes reinforces the denial of those around them, children who are administered a symptomatic treatment they do not need. Refusing the portmanteau of ADHD requires us to rely on finer clinical categories, looking at each case individually and not simply relying on a check list or neuropsychological testing, which only provide a first orientation and a cognitive profile. Instead, we must take into account the child’s overall psychic functioning and, if needed, included a paediatric examination. In real life, the behaviours which lead to the diagnosis of ADHD are not at all specific, whether we are speaking about inattention, impulsiveness or hyperactivity; at best this is a diagnosis by elimination. I prefer to think that in the case where these symptoms do exist, if they cannot be attributed to any medical cause or psychiatric disorder, if they lead to intense functional difficulty or a conflictual interaction with the child’s environment, to stigmatisation, to academic failure, to a severe reduction of self-esteem or even a depression – in one word to psychic suffering – if they disable the child or pose a risk to his development, using methylphenidate as a treatment can be indicated when other therapeutic measures have proven insufficient. However, in all cases, this medication must be accompanied by a more comprehensive treatment and support for both the child and his parents. The diagnosis of ADHD is not a condition for a possible access to welfare – if the latter is desirable and demanded by the parents, it can be accessed through other, more valid designations. The child’s psychic suffering or functional difficulties can be described in different terms, but in some cases the parents ask for this diagnosis or even pronounce the diagnosis of ADHD themselves — with various degrees of convergence — and ask for it to be confirmed by a professional. There is no recipe to respond to this demand, but if the diagnosis reassures the parents, when it helps them communicate with other parents etc., it is best not to refute it, or we run the risk of being seen as incompetent or adhering to obsolete practices, as a result of the propaganda that reigns in certain milieus against all psychodynamic forms of therapy. The therapeutic alliance with the parents is an essential element of any treatment. We should nevertheless explain to them that the diagnosis of ADHD should be considered as purely functional. In this sense, there is a consensus among experts that it is not a “rigid designator” implying a treatment protocol and that the child will have to eventually become emancipated from it. The scientific promotion of ADHD and its globalisation are a perfect illustration of all the biases that undermine the credibility of contemporary psychiatry, marked by a rhetoric of promise, the fulfilment of which is constantly delayed due to the increasing complexity brought by science, as well as due to the biased use of brain imaging and studies wrongly presented as scientific evidence. If we were to believe some of the extremist advocates of ADHD, we would be living in a scientific era in which psychoanalysis has been relegated to the rank of astrology. Science is happily marching forward, the neurosciences are offering us new and interesting indications and approaches, but the benefits for our everyday practice are still quite modest. In recent decades, there have been thousands of ADHD studies carried out globally and millions of dollars have been spent – of course without a single decisive discovery. We can in fact argue that no biological markers for ADHD will ever be found, given the little internal consistency of this disorder and the great difficulty in including homogeneous clinical cases. Also, it seems logical that in some cases there will be a correlation between behavioural disturbances and abnormal brain images; of course, this says absolutely nothing about causality, plus, these images can be found in other pathologies and even among children not presenting any pathology; they are in no way specific. Attention deficit hyperactivity disorder (ADHD) is rapidly gaining ground in the Western countries. This development has been accompanied by widely publicized controversies. These debates revolve around 1) the causes of the disorder and especially its genetic origins; 2) the biological markers that could aid diagnosis and 3) the efficacy of Ritalin as a treatment. Since the early 1990s, scientific knowledge has made significant progress in all three issues. The influence of genetic determinism is now considered minor compared to environmental factors. All attempts at developing biological markers (genetic testing, brain imaging) have failed. Finally, long-term studies have shown that treatment using medication does not protect children suffering from ADHD from the risk of academic failure. In a previously published study, we have shown that in the 1990s, the English-speaking press largely mediatized the initial discoveries favourable to the medicalisation of ADHD. On the other hand, the same press has given much less media space to subsequent scientific studies, which refuted or largely qualified these previous studies. These refutations were never reported. The press therefore failed to follow the development of scientific knowledge and this failure is mainly due to the processes of scientific publishing. One large-scale study on ADHD has been carried out in the United States for more than 10 years now. After 18 months, this so-called MTA study, which involves thousands of children, has shown that medication was superior to other forms of therapy. These findings were widely publicised. After 7 years, this same study showed results that contradicted the previous ones, especially that without a change in the child’s psycho-social environment, with or without medication, school results do not improve. This data was not subject to the same media coverage, but it is consistent with the hypothesis that ADHD is sadly often a medical veil concealing different psychological, academic, pedagogical and social problems. In addition, ADHD tends to add credibility to the idea that the problem is in the child’s brain; it is said that this removes blame from the parents, but this claim, too, is unproven. Those who argue that the evidence lies in the fact that a chemical substance can modify behaviour or attention, and therefore there must be a brain anomaly somewhere, are mistaken, because we see the same modifications in subjects that have not been diagnosed with ADHD. When in the first part of the last century psychiatry spoke about “minimal brain damage”, the population of children in question presented marked deficiencies and it was thus plausible to consider all the signs as resulting from brain lesions; however, when 5-20% of children are affected by ADHD, this becomes an ideological and reductionist position. MPH is an opportunity, because is some cases it is the medication that “works”, i.e. has a genuinely positive effect on attention and specifically helps the child concentrate on tedious tasks. In addition, it works very quickly, giving the impression of a “miraculous” change or at least a breaking away from the previous symptomatic situation, a vicious cycle of negative synergy that leads to the suffering of the child and those around him. Thanks to MPH, the child has the feeling, for the first time in his life, to be able to respond to the demands of the school and sometimes the parents. There is nothing surprising about this – the substance is a derivate of amphetamine, which has been known to us for many years. MPH is also in demand, because its reputation of quick and “miraculous” effects has spread virally on certain internet forums and social media; it seem to respond to a certain change in the understanding and expectations the public has of child psychiatry. The fear of academic failure requires an effective symptomatic response, which boosts the prescription of this “school doping”. Lastly, MPH is welcomed by child psychiatrists, who have such a poor pharmacopeia at their disposal, with no curative powers but many side-effects; it is therefore understandable that some have jumped on the methylphenidate bandwagon, because it is the last great class of psychotropic drugs. However, the social representation of MPH is deformed; the expectations are too high, because it too has side-effects, its use in adolescence is a source of depersonalisation, its long-term effects are poorly documented; it is not a remedy for either addictive behaviour or academic failure. It cannot by itself stabilise a person trajectory and its average efficacy fades after two years of use. And we are not even speaking about its misuse or misappropriation. Also, because of the diagnostic breakdown according to behaviour, the prescription of MPH is sometimes a gateway to the prescription of other psychotropic drugs, thus increasing the risk of adverse effects. For all these reasons, we must conclude that MPH is by no means a magic pill. Training practitioners or raising their awareness of psychopathological categories as well as standardised tools, if only to identify underlying psychoses; encouraging in-depth case-by-case work and careful listening; training them in different types of psychotherapy, group techniques, psychodrama and movement therapy; teaching them not to try and fit too much into a loosely defined diagnosis and instead look for the right balance between idiosyncrasy and standardisation. ADHD should not become a lazy diagnosis, where we simply apply a protocol to mental pain or academic difficulties. While rejecting a patronising attitude, we should try to form a partnership with the parents. Practitioners should be trained in pursuing research with a genuinely scientific attitude; they should learn to tell the difference between a correlation and a causal relationship, to approach studies critically, identifying their methodological and statistical biases. But we should equally try to contextualise the discourse about the neurosciences and pay attention to its possible distortions (which stem from the researchers’ own careers, the media interests of journal editors, the reputation of universities and research centres and so on) rather than giving into a “neuromania” and its discursive distortions based on findings drawn from brain imaging. This type of training is essential if we wish to fight against the more extreme anti-psychiatric currents, in the age of fake news and post-truth. In addition, beyond clinical practice, we should de-medicalise the difficulties of paying attention at school whenever necessary and instead support pedagogical innovations which, by helping to reduce the rates of ADHD, are also very important, as well as life hygiene, sport and diet, the struggles against social injustice and various educational measures, such as limiting screen exposure. To put it simply, this is an entire programme to avoid importing the American disaster and leaving the French educational system at the mercy of pharmaceutical companies.